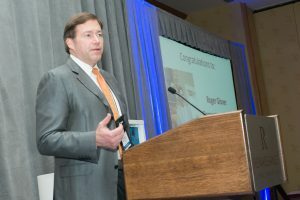 We are thrilled to announce that Cornerstone Homes’ founder and president, Roger A. Glover, was recently recognized for being a long-time EPCON builder. 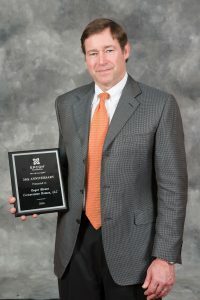 EPCON C ommunities, an Ohio-based company that specializes in designing homes and communities for active adults, recognized Roger and Cornerstone for being an EPCON franchise builder for 20 years. Only threebuilders, including Roger, have ever received this award. The award also served to recognize all of the contributions that Cornerstone Homes has made through the years, carrying out EPCON’s mission statement of building “homes, neighborhoods and lifestyles that provide one remarkable experience”. Since he started the company, Roger has ensured that Cornerstone Homes is dedicated to creating the perfect homes and lifestyles for active adults. Our communities in Virginia and North Carolina offer residents a carefree lifestyle dedicated to wellness, connection and convenience - whether you’re fully retired, working part-time or embarking on a new career. We’re proud to be an EPCON builder, and even prouder to be able to offer such fine quality homes and communities to our homeowners.